The fallout from Offaly’s Championship defeat to Wicklow continues with a number of players indicating that they are unwilling to play for the current management team, with Brian Gavin describing the situation as "embarrassing". 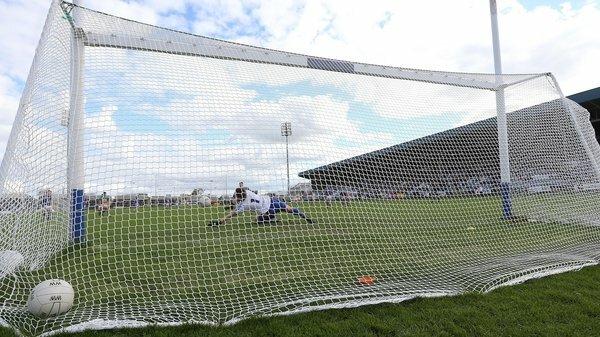 The Faithful County fell victim to Wicklow’s first Leinster Championship victory in five years after extra-time at O'Moore Park booked the Garden County a quarter-final clash with All-Ireland champions Dublin. 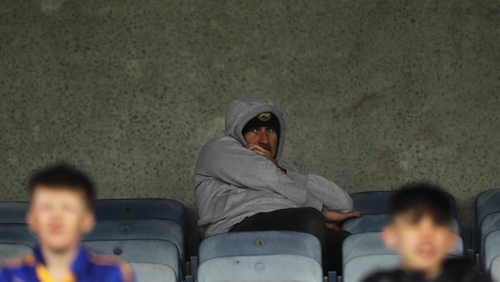 The qualifiers beckon for Offaly, but it has emerged that manager Stephen Wallace, who watched the game from the stand as part of his recent eight-week suspension, could be without a number of key personnel as they look to negotiate the back-door. RTÉ Sport understands that several high profile players on the panel have indicated that they will not play for the county if the current management team remain in place. It has been widely reported that there was a heated dispute in the Offaly dressing room at Portlaoise, however top scorer in the Allianz League Nigel Dunne dismissed talk that had to be convinced not to leave the ground after he was substituted in the 28th minute. Former inter-county referee and Offaly native Brian Gavin told RTÉ Sport that the situation is an "embarrassing" one for the county, but that there has been unrest in the camp for quite some time. "The tip of the iceberg was losing Johnny Maloney after the Fermanagh game, I think he has words with some of the management," he told 2fm's Game On. "We thought that would be resolved within a week or two, but it wasn’t, which was disappointing. We are after losing 10 of last year’s panel for varying reasons, and losing Johnny was a huge setback. "The biggest in the year was with Stephen Wallace, our manager, down at a club game in Kerry. It left a sour taste in everyone’s mouth in Offaly when the video footage appeared of that. Stephen then received eight weeks and since then, things haven’t been good in the camp. "It just escalated to a new level on Sunday which was most unfortunate." Gavin also revealed that a number of incidents during the defeat to Wicklow only exacerbated the feeling within the squad, and was particularly critical of the decision to substitute their top scorer in the League Nigel Dunne (pictured below) before the break, only to re-introduce him in the second half. "Things took another twist when the team was named. Rory McNamee, who is a fine footballer from Rhode, had been travelling and is only back in Ireland three weeks. Rory wouldn’t mind me saying this, but it was unbelievable that he started because you had lads training since last November. "Another fine footballer James Lawlor, who was named originally at wing-back, was told an hour and a half, two hours before the game that he wasn’t starting. "Nigel Dunne left the ground, but was persuaded to come back. We discovered we had no free-taker. Alan Mulhall had to come up and take some of the frees. "We bring Nigel back on and within five or six minutes of that then, he missed a penalty. He wasn’t in the right state of mind and no way should he have been brought back on." "The man-management and the decision making of the management is the straw that broke the camel’s back. Unfortunately I can’t see Stephen Wallace lasting another 24 hours which is unfortunate for everyone. "It’s embarrassing some of the stuff we are hearing."